Hands-On Diagnostics during its 5th annual symposium announced a Residency Program in Electromyography and a Fellowship Program in Musculoskeletal Ultrasound making it the only organization worldwide to offer the combined residency and fellowship products. ASTORIA, N.Y., September 27, 2018 – Hands-On Diagnostics (HODS) is a national franchise that helps Physical Therapists establish a variety of diagnostic tests in their facilities. These diagnostic tests include electromyography to evaluate the integrity of nerves and muscles and musculoskeletal ultrasound imaging to evaluate joints, muscles and nerves. HODS has certified hundreds of physical therapists in over 153 facilities across 21 states, and they keep expanding. The purpose of the organization is to help build a truly autonomous physical therapy practice by advancing the physical therapist as the provider of choice for a wide range of technologies – electrophysiological, neuro-musculoskeletal ultrasound imaging, vestibular testing, and more. A few months ago HODS announced the establishment of a Fellowship program in musculoskeletal sonography that awards the title FMSK that stands for Fellow in Musculoskeletal Ultrasonography. But today the co-founder of Hands-On Diagnostics, Dr. Dimitrios Kostopoulos, made a major announcement that has the potential to create a huge impact on the physical therapy profession. HODS has collaborated with the American Academy of Clinical Electrodiagnosis (AACE) to offer Physical Therapists an approved Residency in Clinical Electrodiagnosis program by the American Physical Therapy Association and the American Board of Physical Therapy Residency and Fellowship Education (ABPTRFE). 90% of patients agreed that they were better able to understand their problem and better able to manage it because of the answers they got through diagnostic testing performed in the physical therapy clinic. 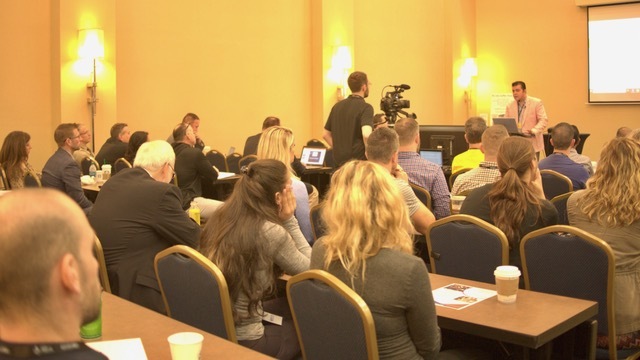 “This collaboration of the two giants in business expansion and education will enable us to help create – in a much faster capacity – hundreds of Board Certified Physical Therapists in Clinical Electrophysiology across the country” proclaimed Dr. Kostopoulos at his keynote address at the 5th Annual Symposium of HODS. Dr. Mark Brooks, VP of Clinical Education and John Lugo, PT, HODS/AACE Clinical and Administrative liaison addressed the symposium participants pointing out the huge impact that this initiative can have on the PT profession but also to the patients who can have an immediate point of care access to accurate and competent testing and results. Recent studies had shown that patient management was by 62% more effective when patients received electromyography or ultrasound testing at the Physical Therapy office. Meanwhile, 90% of patients agreed that they were better able to understand their problem and better able to manage it because of the answers they got through diagnostic testing performed in the physical therapy clinic.